Sponsored: Have you ever attended a masterclass? I haven't. I've heard about them. Seen a couple on YouTube. 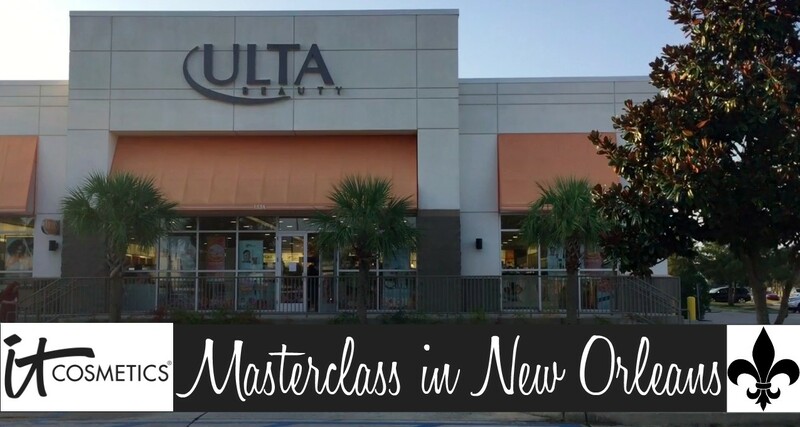 Many popular MUA's do masterclasses (Mario, Huda Beauty), but now beauty companies are doing masterclasses (IT Cosmetics, Laura Geller, Too Faced Kandee Johnson, Urban Decay). I didn't pay for this one (I was a guest of IT Cosmetics/L'Oreal), but attendees pay $75-$100 and can use the money to purchase products from the brand. I hope more brands do these, because you learn how to correctly use their products (the way the brand intended) and you learn more about the products they offer. It's also a great way to connect with others interested in beauty in your area. This is the ULTA I frequent. It's located in Harahan, Louisiana (just a few minutes from New Orleans). This masterclass was Saturday, September 23, 2017 from 8am - 10am and you met Jamie Kern Lima afterwards. They had a nice breakfast for us. There was bottled water, juices, coffee, yogurt, bagels and other food items from Panera Bread. Each participant was given a name tag and mardi gras beads (your ticket to meet Jamie Kern Lima (Founder of IT Cosmetics). You were seated at a table with IT Cosmetic makeup brushes, products and other tools. There were representatives assigned to each participant to help pick out shade colors and if you had any questions. Mine was Michael (SHOUT OUT) and he was the best. Very last minute, I decided to do a video of the masterclass training. I did not tape the entire 2 hour training. I only taped overviews of the products they talked about. I felt that would be helpful to my readers. I know it was helpful to me. I definitely came out of this training with a better understanding of both their makeup and skincare range. IT Cosmetics has a plethora of products! 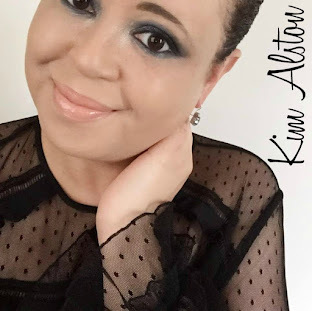 In my 5 years of blogging, I've only reviewed three products of theirs (IT Cosmetics Glitter Brush Set, IT Cosmetics Confidence In Your Glow, and IT Cosmetics All That Shimmers and Chic In The City Brush Sets). Casually talking to other bloggers on Twitter etc. I found out they don't know much about IT Cosmetics either. So I hope this video is helpful to you. NOTE: I just found out ULTA has a no video recording policy for master classes, so I ask that you follow my reviews. THANKS! At the end of the masterclass, I had the opportunity to meet the founder of IT Cosmetics Jamie Kern Lima. She is so personable and sweet. She held my hand and hugged me. We talked for what felt like a really long time. I mentioned that I've followed her since her days at QVC. I also mentioned that I loved her CEW speech (I included the video below). I felt it was so inspiring. She's received a lot of backlash over that speech about diversity (IT Cosmetics only has 7 shades of foundation currently, but will have 12 by the end of 2018). We all know that 7 is not enough (for light OR darker skin tones), but she started this company on her own and sometimes you don't have the money to expand the way you want to expand (especially if you don't have the backing). We talked about these issues and she was very upset over the discourse. I told her lets try and change that. I'm all for positivity and giving people chances. L'Oreal just recently purchased IT Cosmetics for a billion dollars and I see positive changes already. I found her to be very nice. She took time to talk to me. Her dress was beautiful. How awesome you were able to attend this master class Kim! It sounds like a lot of fun and that's so cool they teach you about their products and how to correctly use them. That's also awesome you got to meet the founder of It cosmetics! Thanks for sharing your experience and I think more brands should do this too! Oh wow, what a great idea! I would have thought that a master class was like an advanced class, it's great they took you through the basics of the products first! And even better you got to meet the founder, that would be a really special moment! :) Looks like you got along so well in the pics, she really does seem so nice. I´d love to attend a masterclass one day. My makeup skills need improvement and it would be exciting to be able to learn more about brand and products this way. Sadly I haven´t heard about any in my neighborhood. Jamie really sounds like such a great person. I like watching her when she comes here at our Shopping Network. I didn't know she's a blonde now! And judging by those pics, you guys look like you really it off, Kim:) And can I just say how I must really get my hands on the Bye Bye Under Eye concealer!!! I think this would be so fun and interesting to attend. I've only tried It Cosmetics concealer but would love to try more. They are new in Canada, which is exciting. This Masterclass sounds like a great experience, Kim! 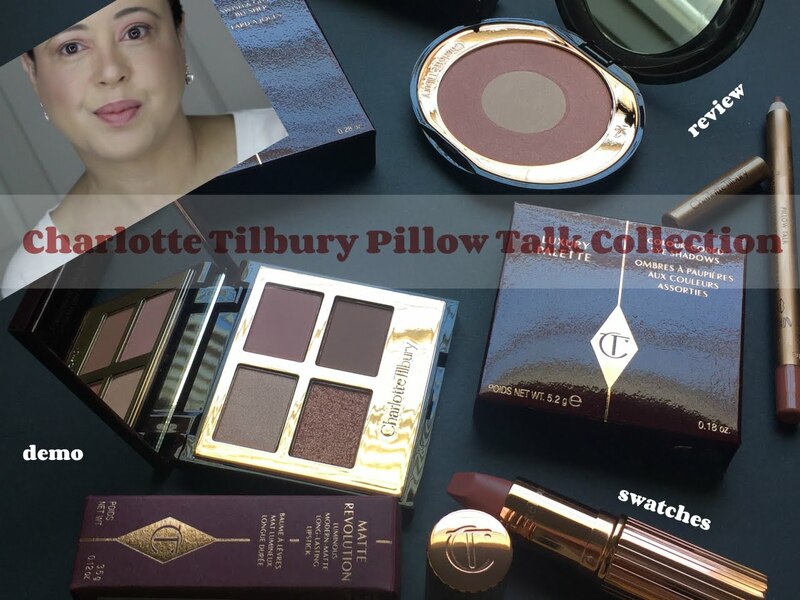 I went to one years ago with Charlotte Tilbury and it definitely gave me insights into product use that I still refer to every day. 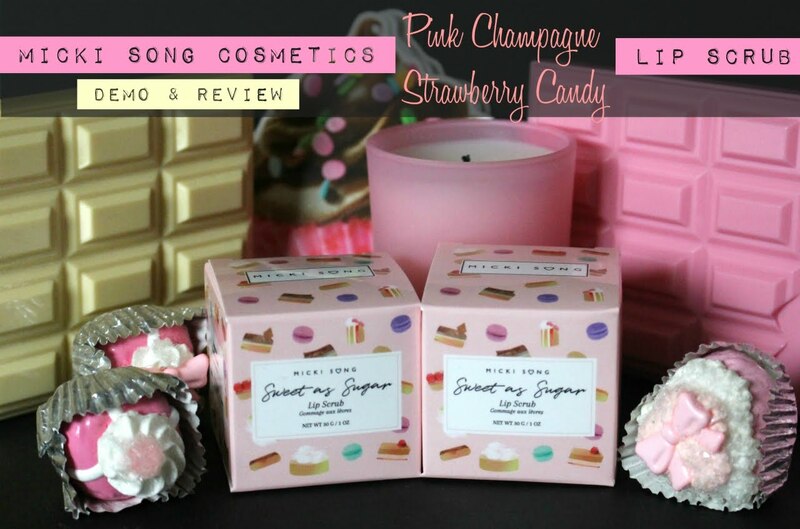 IT Cosmetics is a totally new brand for me, but it sounds like the founder is totally invested in making the best products she can and the products were customers really want. That's exactly what you want from a beauty brand, I think. I remember seeing shots and short videos of your visit to the masterclass. What a great opportunity to learn about the brand and founder. It will be great to read your reviews too! This looks like it was a lot of fun! It is an amazing marketing event for a company too. This sounds like such a cool experience Kim! I have some It products that I absolutely love! I do hope they start adding more colors to be more inclusive. That's so cool you got to attend this! I would totally pay to go to a class like this. Did they contact you about the class? How do I find out about ones in my area? What a fun opportunity, girl! I've never been to a masterclass either, but have heard of Mario's; I didn't know Huda did them, too! I agree, I think brands doing them would be beneficial for both them and the consumer because we'd understand their products more and perhaps give some feedback. Thanks so much for sharing, gorgeous, and I hope you have a great week ahead! i didn't know about these classes either, but sure sounds like a great time. i don't think i tried anything from it cosmetics, so i look forward to reading your reviews.